Trio For Trombones (Abschiedsgesang). Composed by Ludwig van Beethoven (1770-1827). Arranged by Glenn Smith. For 3 tenor trombones. Grade 3. Score and set of parts. Published by Kendor Music Inc (KN.17660).Written by Beethoven in 1814 as a humorous farewell song for a friend who was moving away from Vienna, this setting in the original key includes slurs and dynamics to aid with expression and interpretation. 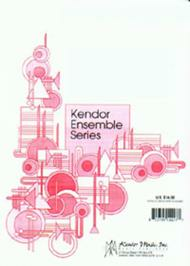 First released by Kendor in 1971, it continues to be a popular recital and contest choice for students today. Duration 3:25.